As most of you know by now, I grew up in several small towns in the Pacific Northwest. I think this is where I get my affinity for small towns and the characters who call these places home. While cities are very entertaining and they have many stories to tell, I believe the heartbeat of our country is in our small towns. 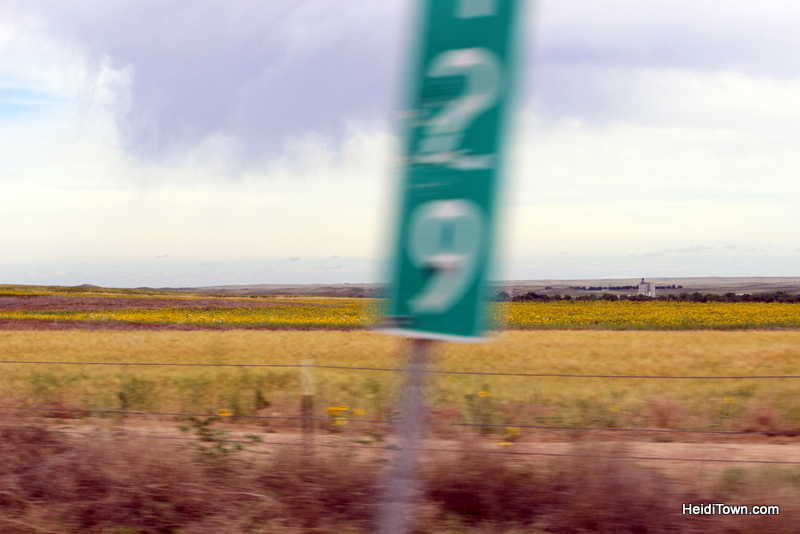 The highway between Limon and La Junta, Colorado. 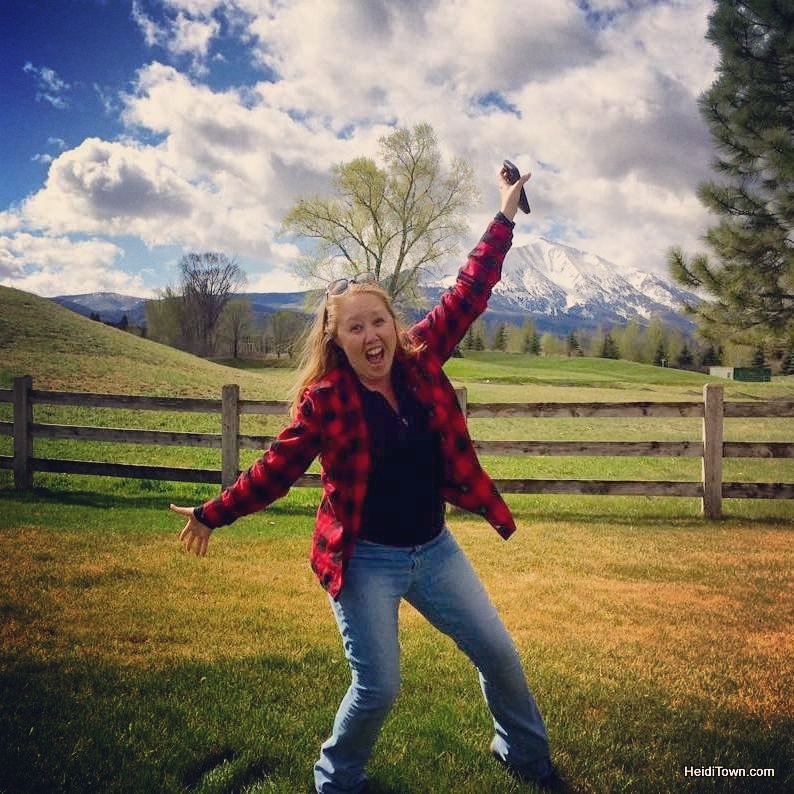 I am challenging you to resolve to travel somewhere small this year, and I am providing a list of Colorado’s small towns for you to consider. In this blog post, a town qualifies as “small” if it has a population of 10,000 or less. If you’ve kept tabs on HeidiTown over the past two years, you’ll know that we discovered this fantastic corner of Colorado in 2015 during an anniversary trip to Dinosaur National Monument. 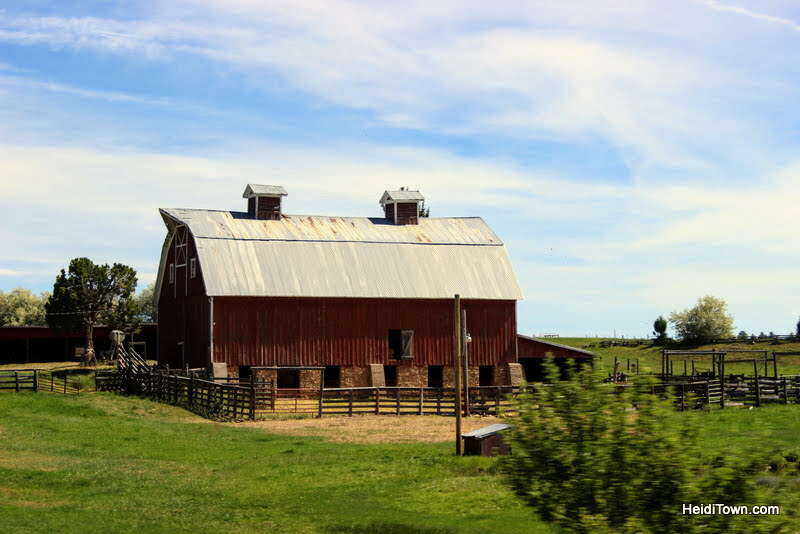 It was during this trip that we discovered Rangely, a place I dubbed “Colorado’s Friendliest Town.” All of the towns in this post are above-average when it comes to friendliness measured by Colorado standards, but Rangely out-friendlies them all. It was so noticeable that I wrote about it. This past summer, we visited Meeker where I was a judge for the Jammin’ Lamb Festival. Meeker and Rangely are both in Rio Blanco County and, as it turns out, it’s impossible to make it out of Meeker without making a friend. From the bartender and locals at Chipper’s, a local watering hole, to our waitress at Outfitters Diner, to our bed and breakfast hostess, everyone in Meeker wants to chat. You never know who’ll you’ll run into at the bar in Meeker, Colorado. Of course, if this sounds too friendly for any introvert who may be reading this, it’s easy to find quiet places to escape in this area including fishing the White River or hiking in the White River National Forest. 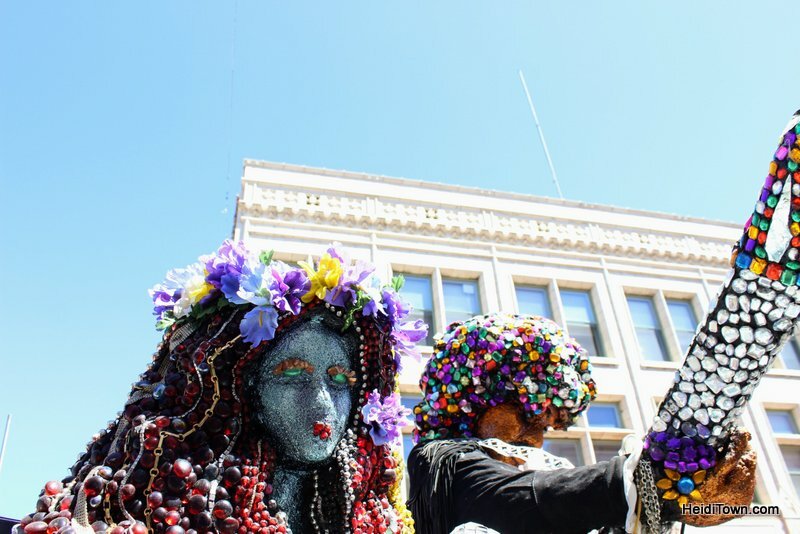 Neighborly, quirky and artsy are just a few words that I’d use to describe Trinidad. After Ryan and I visited in 2016 for ArtoCade, I actually started researched homes in the area – that’s how much I loved it. To say Trinidad is quirky is a bit of an understatement. This is the type of town where, if you got a flat tire, I have little doubt that someone would stop within minutes to help you out. Ask me about my “lost keys in Trinidad story” sometime. It was proof that coming to the rescue of strangers is this town’s specialty. ArtoCade incapsulates what ArtoCade’s creative people are all about. Don’t miss dining at Rino’s Italian Restaurant, a Trinidad mainstay for good reason – authentic Italian food and singing waiters. Dining at Rino’s will go down as one of my top 10 best travel memories and I’d love for you to have that memory in your travel bank too. 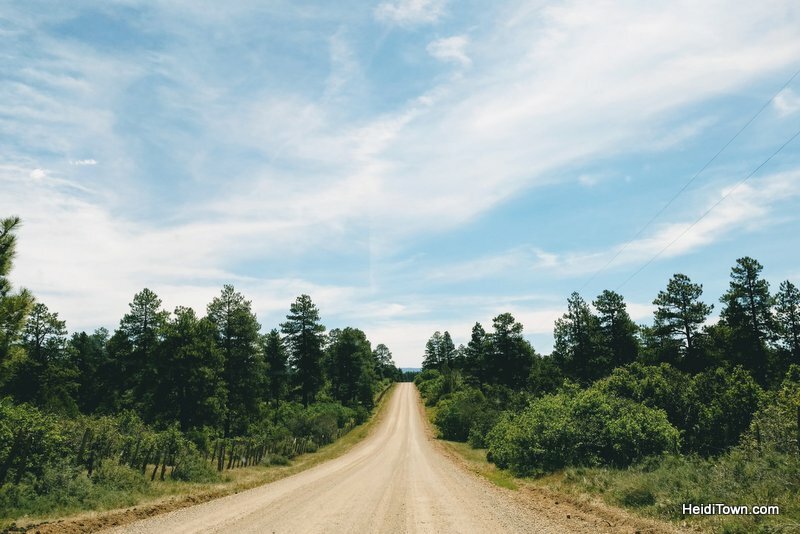 The pace of life in southern Colorado, whether you’re in the southwest or southeast, is a little slower, and this makes it a great spot to escape the hustle and bustle of the Front Range. 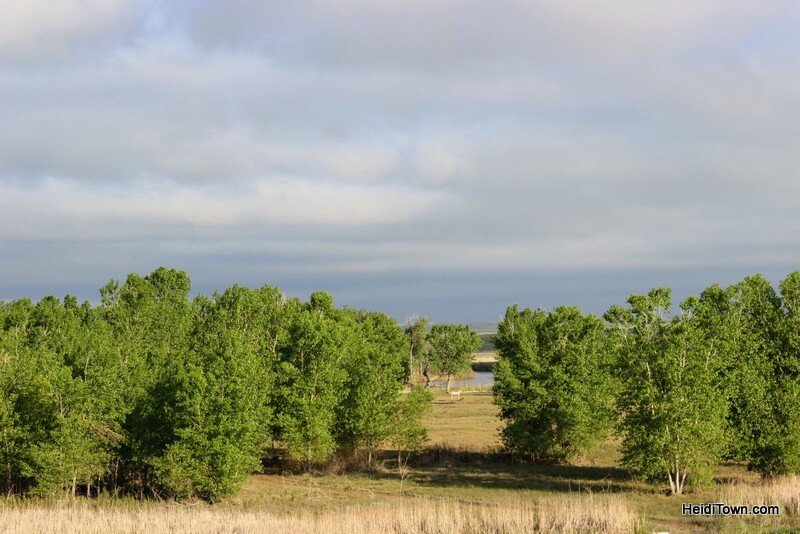 The view from Bent’s Fort in La Junta, Colorado. 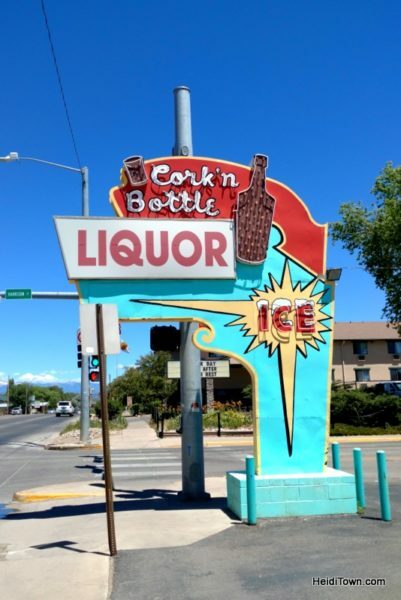 “I walked into a bar in La Junta” may sound like the beginning of a joke, but in reality, it was the smartest thing I did while visiting the town to speak at a travel conference. After a half hour of chatting with the bartender and a local at The Railyard, I had gotten the lowdown on the town, including its history and its current narrative. Small bars in small towns are a must-stop during my travels and I’d highly recommend following in my footsteps. No one knows a town as well as a bartender. 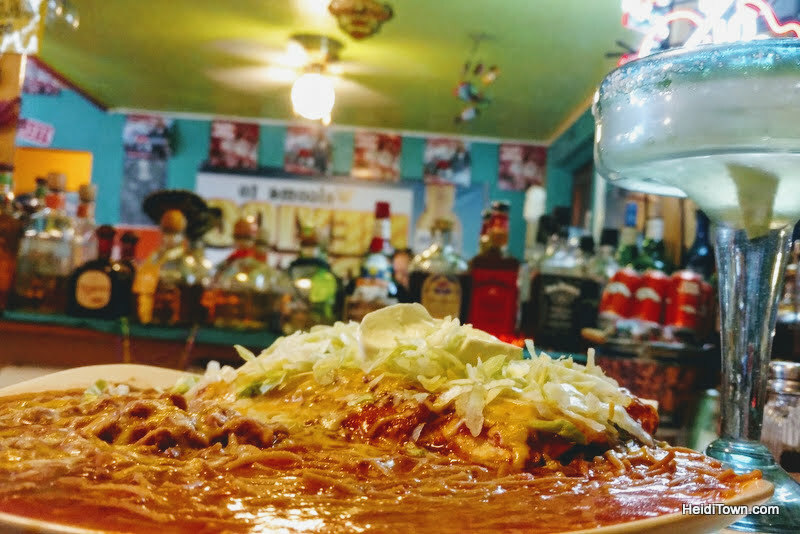 Mexico City Cafe serves up delicious food in La Junta, Colorado. 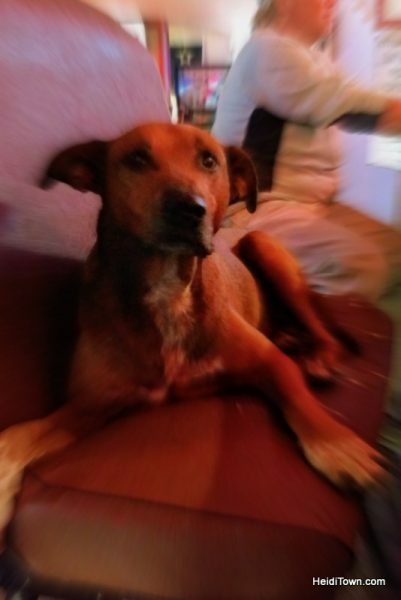 I was traveling alone and sat at the bar at Mexico City Cafe for dinner in La Junta. The owner and his daughter, who had no idea that I was a travel writer, made me feel like a long-lost friend. Despite the scrumptious food and delightful conversation I spent the entire time wishing my husband, Ryan, was there with me enjoying the fabulous experience of dining at Mexico City Cafe in La Junta. Ryan and I visited Lamar a number of years ago to attend the High Plains Snow Goose Festival. It’s a welcoming town with a surprisingly good Thai restaurant and a marvelous museum called Big Timbers Museum. That’s a lot of geese. Near La Junta, Colorado. Located along the Santa Fe Trail, Lamar retains a bit of that wild west feel and Ryan and both enjoyed our stay Lamar. 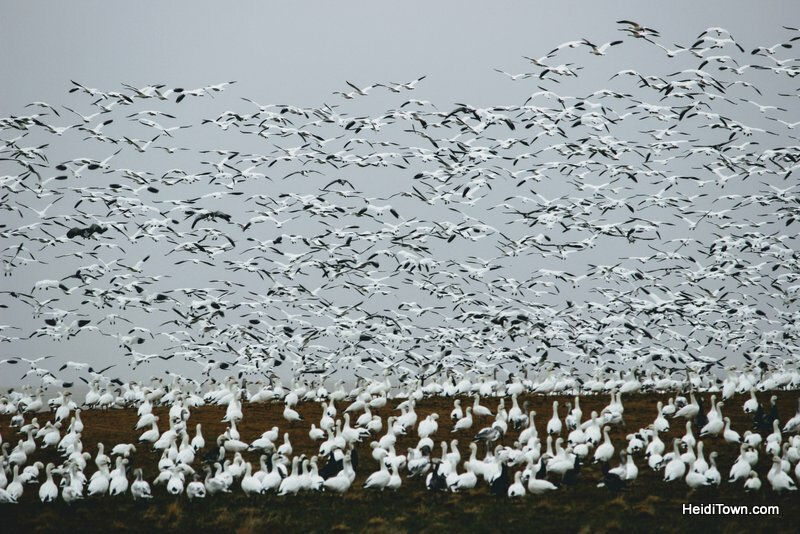 Birders shouldn’t miss visiting this region as it’s a stellar Colorado birding area. The extreme Southwest part of Colorado is best-known for Mesa Verde National Park and rightly so, but the three little towns in this region are well worth visiting in their own right. Beautiful barn in Mesa Verde Country. Cortez, the largest of the three towns, has a population of about 8,000. It is a no-nonsense, work-a-day town with several excellent restaurants and a outstanding handmade ice cream/chocolate shop called Moose & More. 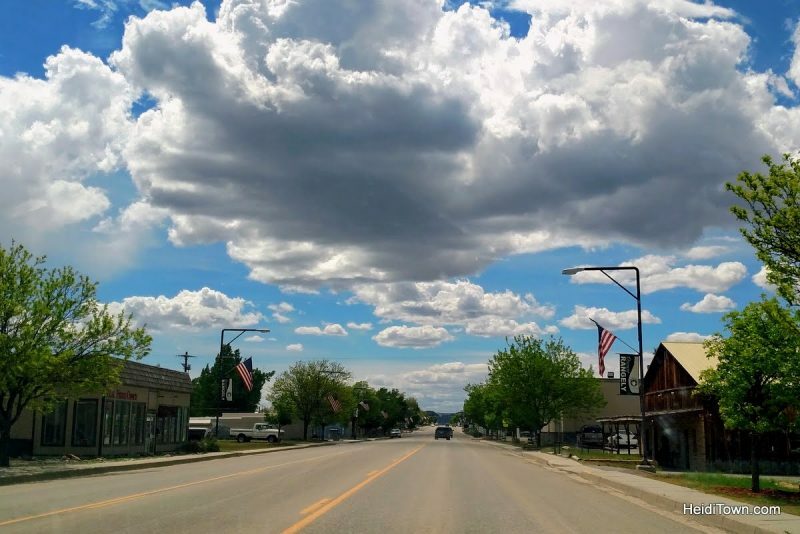 Driving through this town is a little bit like road-tripping down Route 66, and I wrote all about it in this post last year. This area is the least like Colorado of anywhere I’ve traveled in our state and I don’t mean that disparagingly, it just has a strong southwestern ambiance. Dolores is located along the Dolores River which flows into McPhee Reservoir, a big recreational draw in the area. Dolores, 11 miles from Cortez, is the most outdoorsy town of the bunch, featuring lots of kayaking and hiking opportunities. Boggy Draw, just outside of Dolores, offers opportunities for mountain biking and off-the-grid camping. Boggy Draw is a recreation hot spot about 4 miles outside of Dolores, Colorado. This little town is home to one of our all-time favorite breweries, Dolores River Brewing. We first visited in the mid-2000s on a trip to Mesa Verde National Park. We fell in love with this laidback brewery that serves up amazing pizza and has one of the best shady patios in Colorado. Mancos, located 20 minutes from Cortez and 30 minutes from Durango, is the artsiest of the three towns in Mesa Verde Country. 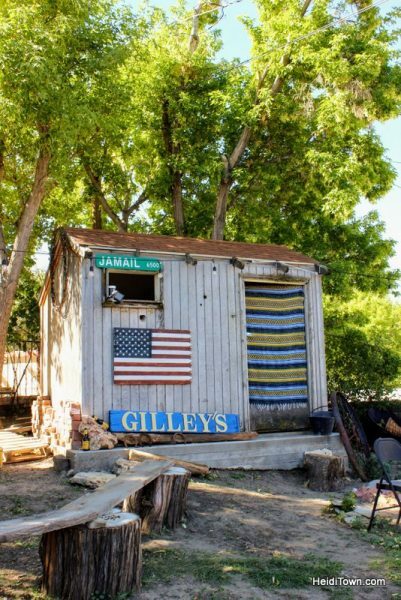 This is the place for those who love browsing art galleries, especially for collectors of Native American art, but there’s a lot of other genres represented as well and nearly everything is locally made. 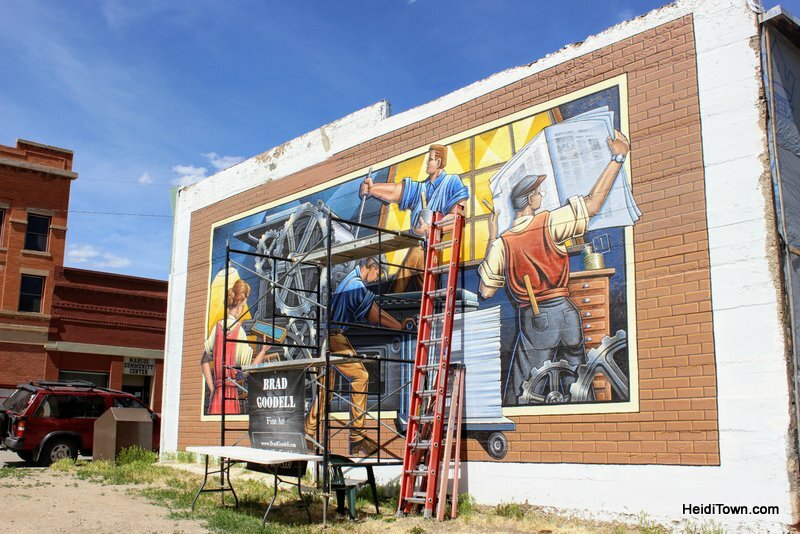 One of many murals in Mancos, Colorado. When visiting Mancos, do NOT miss Absolute Bakery Cafe. Everyone says to go there and that’s because everyone is right – it’s simply one of the best breakfast spots in Colorado. Fort Morgan would have made this list, but its population is just over my benchmark of 10,000. However, I will put its smaller neighbor, Brush, on this list. 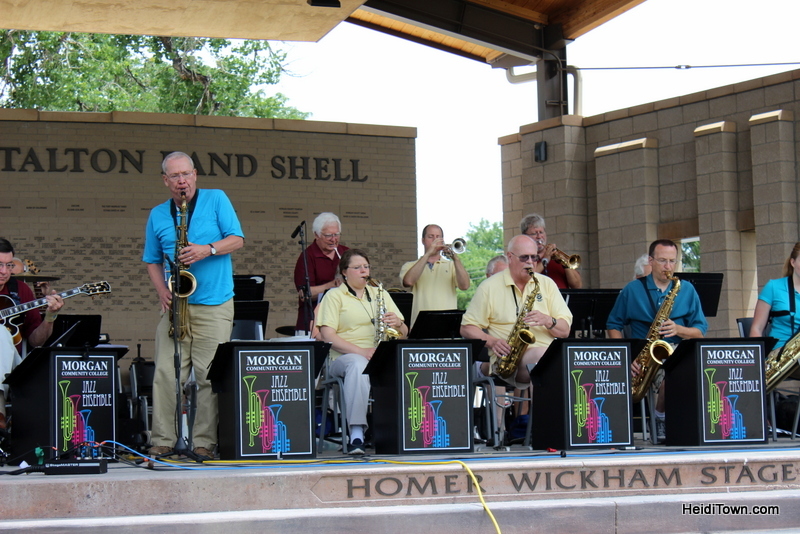 Fort Morgan’s Glen Miller Swing Fest. This town may have swelled to more than 10,000 souls, but it still feels like a small town to me. Years ago, I worked with an attorney who grew up in Brush and he was always singing its praises. When I finally visited, I finally understood his nostalgia for his hometown. Brush oozes Americana. The town, sprinkled with turn-of-the-century bungalows, was once the home of the World’s Largest Amateur Rodeo, but since 2005, the pros have been coming to town, so it’s now the Brush Rodeo. 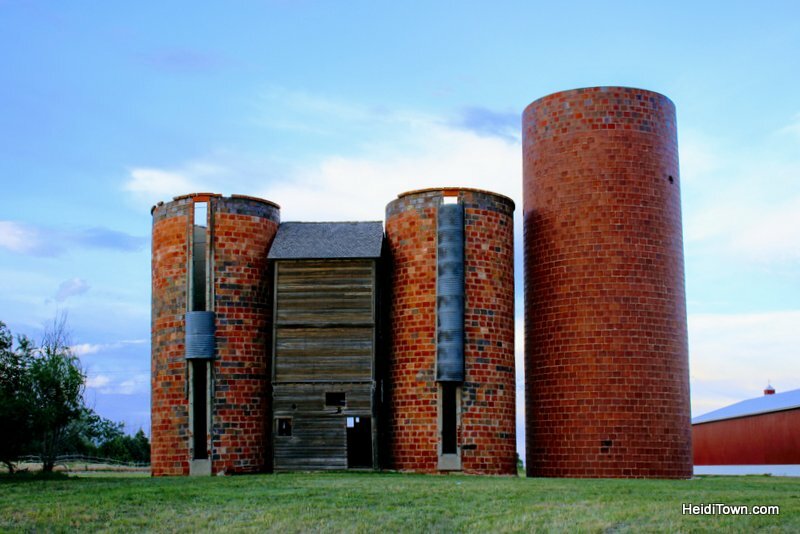 Eastern Colorado is home to the most beautiful silos I have ever seen and I grew up in a land of silos! The rodeo, which takes place over the 4th of July will be 64-years-old in 2018. Should you come to town for the rodeo (or any other reason) don’t miss Home Plate for breakfast. It’s a greasy spoon with a Mexican twist and I think it’s downright delicious. I will leave you with this thought. Just because a town is small doesn’t mean it’s perfect. Going to high school in a town of 5,000 meant that I didn’t have access to Advanced Placement classes which put me at a disadvantage when applying to college. However, in my town, everyone showed up to the high school on Friday night for football. And that’s the trade-off. Small towns may lack some of the benefits available in larger communities, but they make up for it with heart and whenever I visit a small town I feel like my heart gets a little fuller. Maybe it’s a bit corny, but it’s the truth – small towns fill up my heart and they just may fill up yours too. 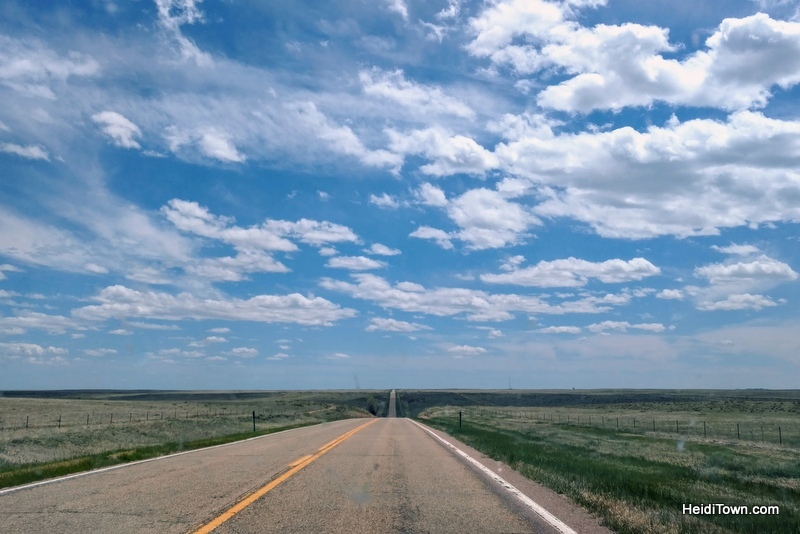 Note: I am aware that some of these towns are not officially located on “back roads.” Also, there are many other small towns in Colorado deserving of your exploration. If and when you go, be sure to tell me about it here or on Facebook.